Josh Rathour is the founder and CEO of UNiDAYS. Before starting UNiDAYS in 2011, Josh worked as a commercial real estate agent, while learning everything he could about online verification and shopping apps. Under his leadership and vision, UNiDAYS has grown into the world’s leading Student Affinity Network, connecting the most recognizable brands and services to millions of students worldwide. In 2018, UNiDAYS was named the fastest-growing tech company in the UK by the Sunday Times, after winning a host of awards including the Lloyds Bank Digital Business of the Year and the coveted Digital Innovation of the Year Award. Josh looks forward to building even more products and technology to help Gen Z college students prepare for their futures, and empowering them to make every experience more valuable and rewarding. 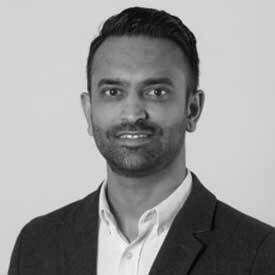 A sought-after speaker in the UK and the US, Josh is highly regarded for his strategic leadership and innovation. In 2017, Josh was named Rising Star at the EY Entrepreneur of the Year Awards. He graduated from Nottingham Trent University with a degree in real estate management.